Before they could reel out their first punches at the AIBA Women’s World Boxing Championships, Indian boxers were under intense scrutiny. One who certainly bore that was MC Mary Kom. “There is always a lot of media pressure. It’s tough. I can only promise that I can give my best,” the 35-year-old had said after clearing the opening hurdle. She definitely fulfilled her promise with a quality display that earned her an unprecedented sixth world title. It was a performance that manifested her will and hunger. Moreover, it showed that at 35, she is still one of best in the business. Mary, though, had failed to qualify for the 2016 Rio Olympics; a low point in her career. In fact, there was uncertainty all around before the event. India’s last-ditch effort to send her to Rio Olympics as a wild card was turned down. “I have been duly informed that I won’t be getting a wild card for Olympics. It is heartbreaking, but it is something which I have no control on. I have to accept this decision but I am not quitting the sport right now. I will continue to compete till I am feeling fit. For the time being, I think I am fit,” Mary had said then. After the emergence of a functional association in Boxing Federation of India (BFI), Mary had remained positive. Despite off-the-ring duties as a Member of Parliament in Rajya Sabha, she continued to remain committed to her sport and passion. “After being nominated, it would have become quite difficult for her to balance both. But she was always dedicated and never missed her training sessions,” renowned boxing coach Gurbax Singh Sandhu recalls. Sandhu is impressed by the manner in which Mary has handled her career. “One should remember that she has a family with three kids. It’s incredible that she can balance everything,” the Dronacharya awardee says. boxer went about her business during the World Championships. Cool and composed, Mary showed the weight of experience at the highest level. Former Commonwealth Games gold medallist Akhil Kumar felt that Mary saved the best for last. In the final, she was up against Ukraine’s Hanna Okhota, 13 years younger than the Indian veteran. Akhil remarked that it is virtually impossible for anyone to reach Mary’s heights. 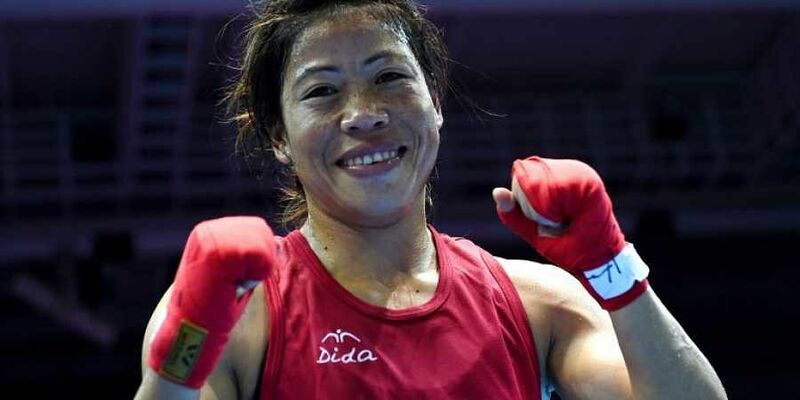 “Sachin Tendulkar’s record may be broken by someone in the near future, but Mary Kom’s record is unbreakable,” Indian boxing’s national observer said. Now, Mary has set sights on 2020 Tokyo Olympics. “My preparations begin tomorrow,” she had said soon after victory. It certainly looks like Mary’s record is set to remain for long.